The combination of the funds being poured into the fintech space and the amount of investment by the large financial institutions means that there are numerous fintech companies being built everyday around the world. 2016 has been an amazing year for Fintech, as we are coming closer to the end of the year, it will be good to have a look at some of the fast growing companies in fintech. Our list will take into account user traffic, hiring, venture capital fundraising, among other factors. ZhongAn is an Internet-based insurance company data. The company experienced remarkable growth by raising $930 million Series A and recorded a $10 billion valuation last year. The company has over 400 million customers, and targets winning over more consumers. Last year, H2 Ventures and KPMG Fintech ranked ZongAn as the world’s leading fintech innovator for 2015. Founded in founded in 2011, Wealthfront is among the fastest growing and well-documented company. With more than $1bn in client assets under management, the company is the largest and fastest developing automated investment service on the planet. It has raised more than $65m in funding from top VCs including Greylock Partners and Index Ventures and high profile angels, such as Joe Jordan, Ben Horowitz, and Marc Andreessen. The firm manages more than 80,970 accounts. Betterment, a 7-year old “robo-adviser” wealth manager, outshined rival Wealthfront last year after surpassing $3 billion in assets under management — almost tripling client funds since January last year. The company said it raised over $100 million Series E round of funding with Kinnevik leading the deal and former investors Bessemer Venture Partners, Menlo Ventures, Francisco Partners and Anthemis Group participating. Fortune said that the transaction provide the company with a post-money valuation of $700 million, up from $450 million in 2015. Currently, Betterment serves over 100,000 Customers. Encap offers award-winning authentication technology that allows the future of mobile identity. The company provides context-based multi-factor authentication for the financial services industry that turns user’s smart device into a banking-grade security credential. Based in Norway, it works with major banks across Europe including Santander, Entercard, and Sparebanken Vest. Encap was recognized by US industry analyst firm Forrester as one of the top lights in a new generation of authentication providers. Atom Bank , a digital-only bank, that is among the fast growing fintech companies in Europe. 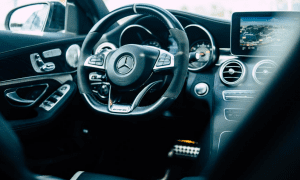 Before it was launched in early 2016, the company had raised over £135 million from its investors such as BBVA, Woodford, Toscafund, Marathon and Polar Capital. Atom Bank has no branches or big call centres. All contacts are through the app. Atom Bank was ranked 8 in KPMG’s Global FinTech Innovators 100. Launched in 2013, OurCrowd is an equity crowdfunding platform. It is made for accredited investors to offer venture capital funding for early-stage start-ups. OurCrowd has grown extremely fast over the last 3+ years. Early 2016, the company raised over $10 million, with the stated aim of expanding into Asian markets. Last month, the company announced that it had raised $72 million in a Series C round of funding, and anticipated the final figure to reach $100 million. As of September 2016, the company has 100 companies in its portfolio, with over $300 million invested. NoviCap allows its customers to have early payments for their outstanding invoices within 48 hours. In 2015, the company raised over $1.7 million from its investors such as Partech Ventures, Cabiedes & Partners, and Tec stars Ventures. The company was listed by Techworld as among the 10 fast growing fintech startup in the UK. Founded in 2013, Tandem Bank is a mobile-first full service retail bank that serves customers through direct channels: mobile, web, contact centre. Within 15 minute of its launch, the company had raised over £1million. Tandem is among the top so-called ‘challenger banks ‘that are fast growing in Europe. Thought Machine is revolutionizing technology to bring Big Data and Machine Learning to the personal finance world. The company has an employee growth rate of 850% and works with financial institution that wants to innovate. 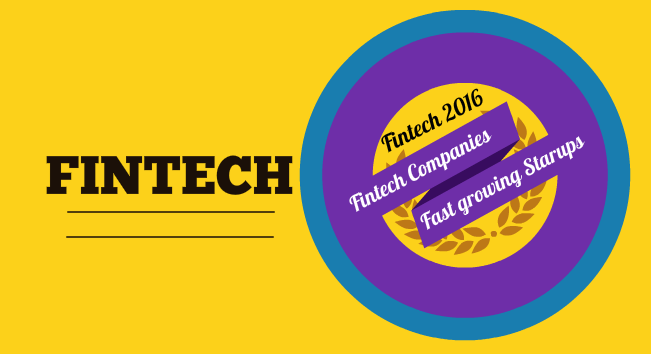 According to Sonovate, Thought Machine is among the top ten fastest growing fintechs. In the 2015 Deloitte Technology Fast 500 Asia, the list that tracks the fastest growing tech companies in Asia, ranked Prospa as the third fastest growing tech startup in the region . The Sydney-based company has grown 6971% over the last three years.